Shipstation is a shipping software used for e-commerce fulfillment. 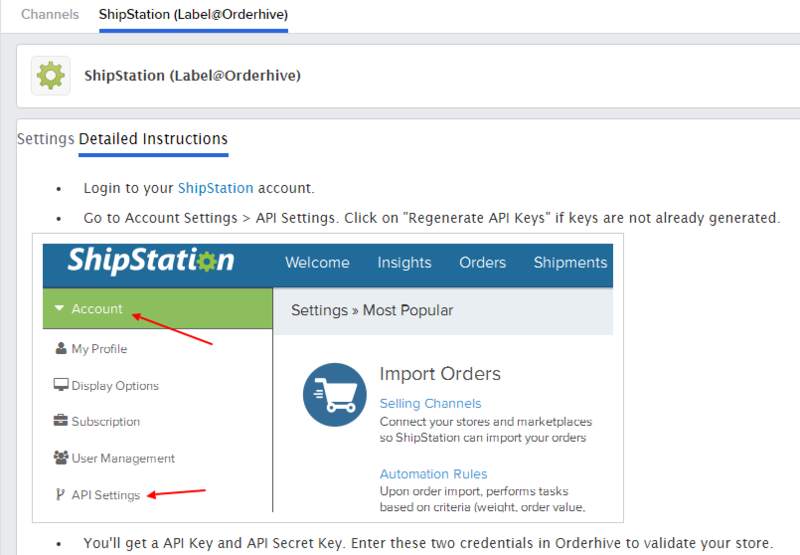 If you’re an existing ShipStation user, you can add your account in Orderhive to either send orders to ShipStation or directly generate labels for carriers added in ShipStation. Being a ShipStation user, chances are you use the software to connect with your shipping carriers and create shipments. Our whole purpose of building Orderhive was to help sellers centralize back-end operations. Along with inventory tasks, if you want Orderhive to be the central repository for your shipping operations also, then you can use this integration. Follow the steps mentioned in the Detailed Instructions tab and connect your ShipStation account. 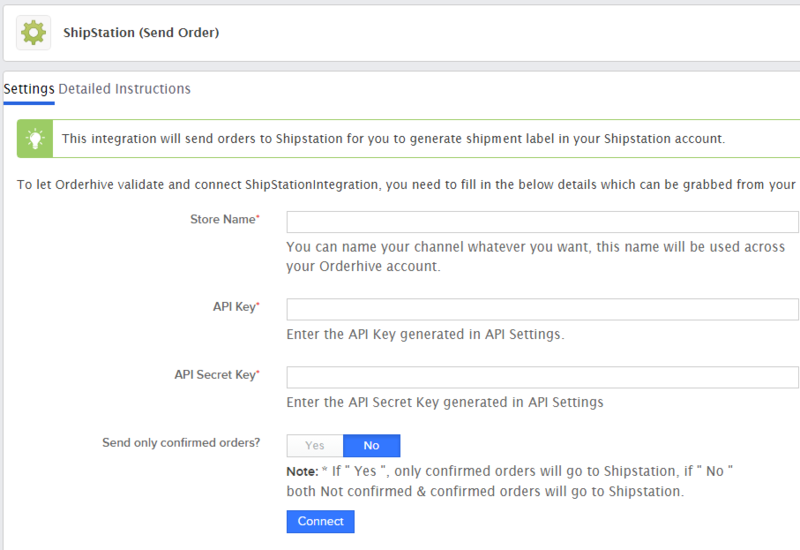 Once connected, the integration will show up on the Manage Integrations page and all the shipping carriers added in ShipStation will be added in your Orderhive account too. All the carriers added in your ShipStation will be synced as Shipping Method in Orderhive and will automatically populate in the Carrier dropdown while you create a new shipment. You can ship via those carriers, check rates, and print labels within Orderhive's interface. This integration allows you to automatically sync carriers added in ShipStation and create shipments in Orderhive with ease. If you want to continue using ShipStation for your shipping operations, and use Orderhive to accumulate all channel orders and send them to ShipStation for fulfillment, then you can use this integration. 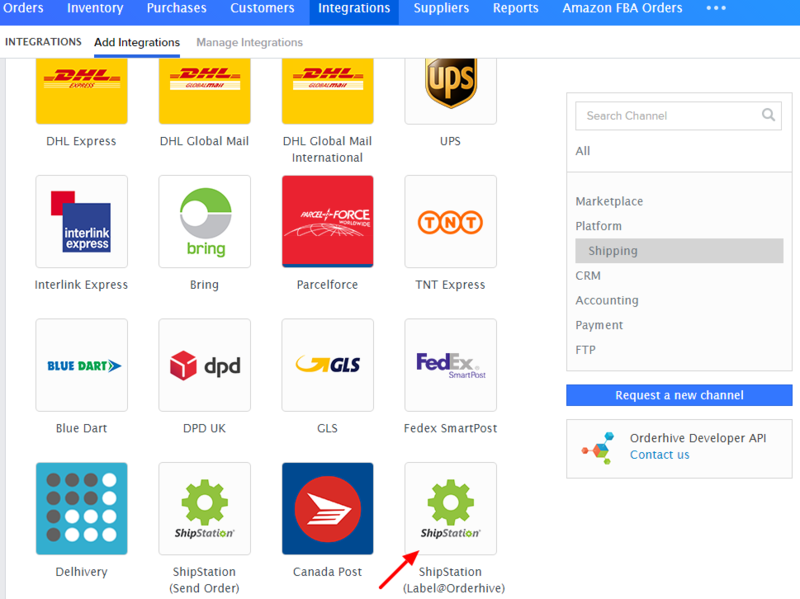 Go to Integrations and under Shipping click on ShipStation (Send Orders). Enter the required fields to connect. Once you connect, all confirmed and not confirmed orders (based on your selection) will automatically sync to your ShipStation account. You can then process those orders in ShipStation. After sync, any order status changes made in ShipStation will get updated in Orderhive. Once the order is sent from Orderhive to ShipStation is mark as shipped, shipping charges along with tracking information will be synced in Orderhive and your channel automatically.